I need to tell you something. My life changed this past Sunday. CHANGED. Let me back up. There is a beer shop pretty close to our house that loves if people bring their dogs. I frankly can't think of too many things that are better than going out to get a drink with my hot husband and being able to bring Louis. Okay okay, so last Wednesday after we picked Lou up from "daycare", we decided to stop by for a drink at Chucks with him. The beer shop doesn't have a kitchen so there is a different food truck there every day (which is just awesome). I noticed their schedule for which trucks would be there when and what do I see? Seattle Biscuit Company comes on Sunday mornings/afternoons. 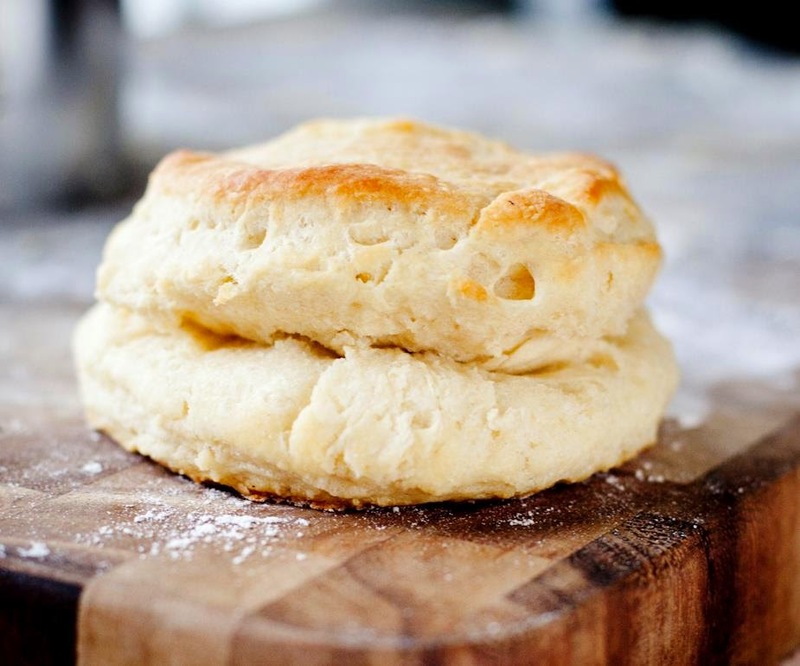 Okayyyy, I feel weirdly passionate about a good biscuit. No joke. My enthusiasm for carbs is unparalleled. So Sunday morning rolls around and Nate and I were up early working on the guest room so I suggested, hey babe, want to go to Chucks and get a biscuit? This is when my life changed. THOSE BISCUITS. Sunday was a trifecta of Kalea happiness- Nate, Louis, and biscuits. You can now date my life as Before Sunday Biscuits and After Sunday Biscuits.